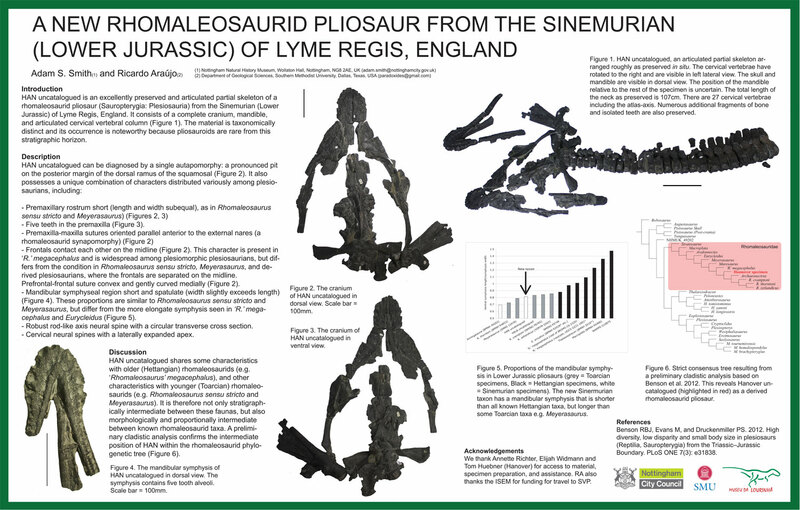 Earlier this month I co-authored a poster at SVP 2012 describing a new pliosaur from the Sinemurian of Lyme Regis (Smith and Araújo, 2012). I was unable to attend the conference in person so my collaborator and friend Ricardo Araujo was on hand to present our preliminary findings. 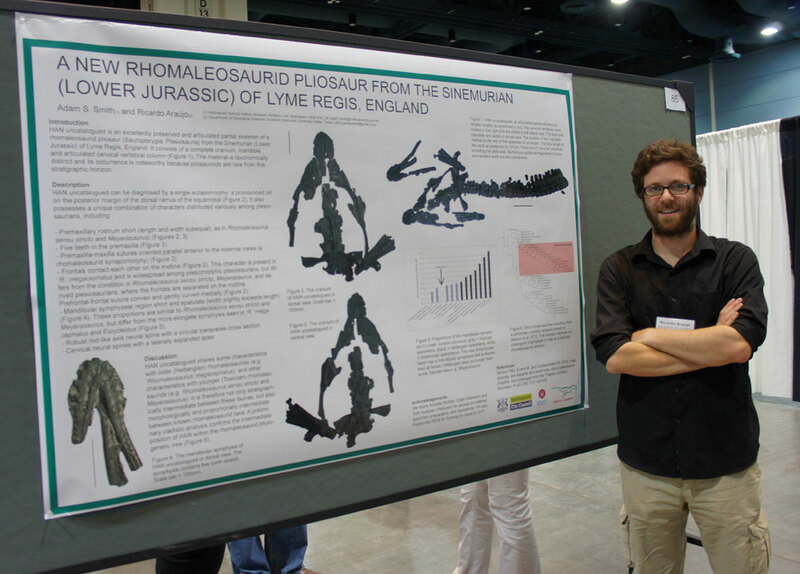 Ricardo Araújo stands proudly next to our poster at SVP 2012. 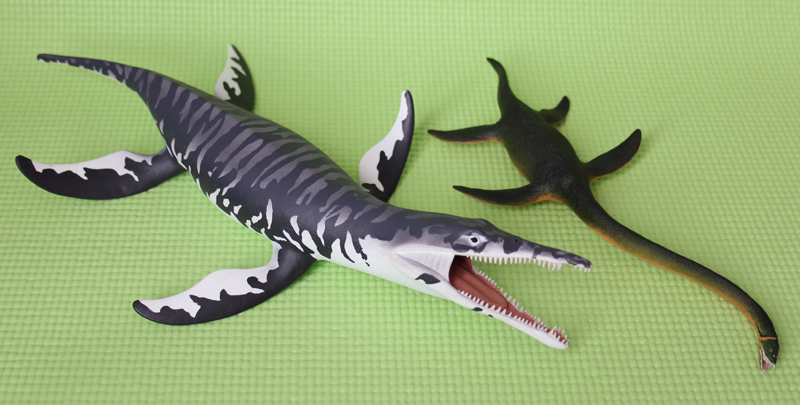 Ricardo is conducting a PhD on plesiosaurs at the Southern Methodist University, Texas. The spectacular specimen was discovered at Black Ven, Lyme Regis, and was acquired by the Niedersächsisches Landesmuseum, Hanover, where it was expertly prepared in the 1990s by their preparator, Elija Widman. 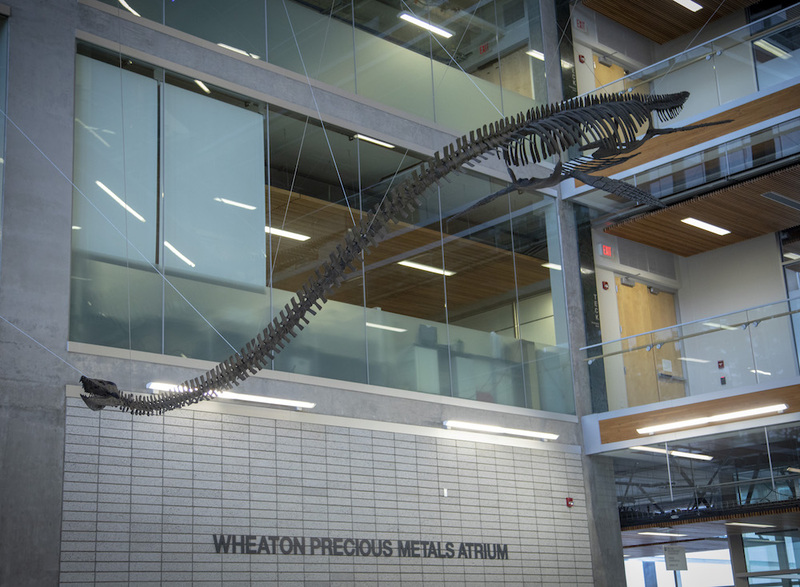 The fossil consists of an almost complete skull and vertebral column. 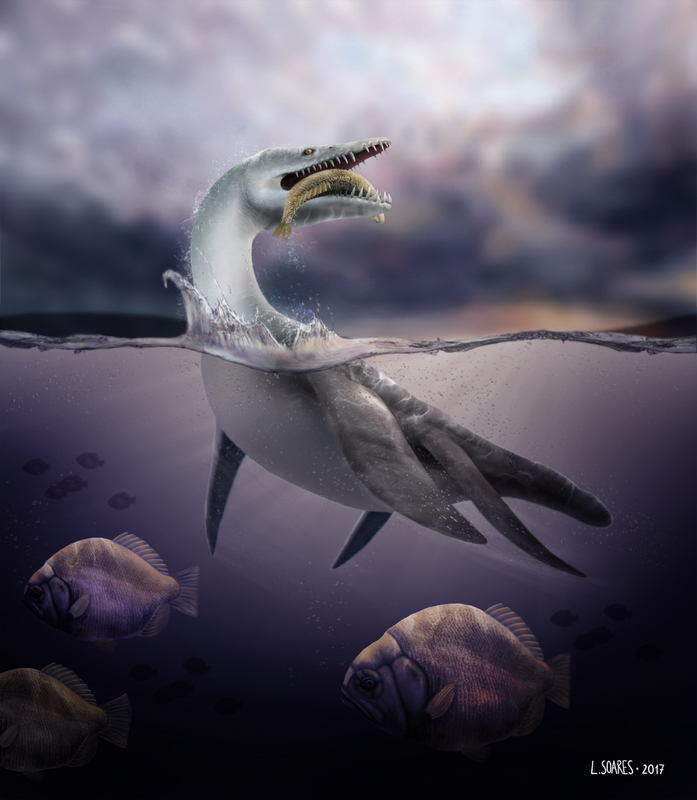 As explained in our poster, the fossil represents a new taxon that is both stratigraphically and morphologically intermediate between known Hettangian and Toarcian rhomaleosaurid pliosaurs. Which makes perfect sense. A legible (just about) jpg version of the poster is available here or by clicking the small version below, and a PDF of the abstract is available here. This is very much a work in progress though and more of a sneak preview than a final word. We have a paper in prep which will provide a more detailed description of the specimen.